Plenty of podcasters and broadcasters out there use Skype as their preferred method of communicating with their cohosts and guests. Microsoft is attempting to make that a better, more professional experience with the introduction of Skype TX, which adds plenty of useful new features and adjustments that it promises will give broadcasters “Studio-grade” performance, thus making their broadcasts better for themselves and their listeners/viewers. One of the biggest things offered with Skype TX is the inclusion of HD-SDI video output and input, which will allow broadcasters to output higher quality audio and video than they would be able to using the free version of Skype. This is a good thing even for people who have no interest in making their own podcasts, as it will allow shows they listen to improve their quality, thus making the experience of watching even more enjoyable. Another key feature of Skype TX is the ability to have aspect ratios adjusted automatically. This helps create a more uniformed look for broadcasters, so even if the person they are calling is using a webcam with a different size than the broadcast, Skype TX will fix it automatically. The last major difference between this and the standard Skype is that videos are free of notifications, signals, adverts or pop-ups. 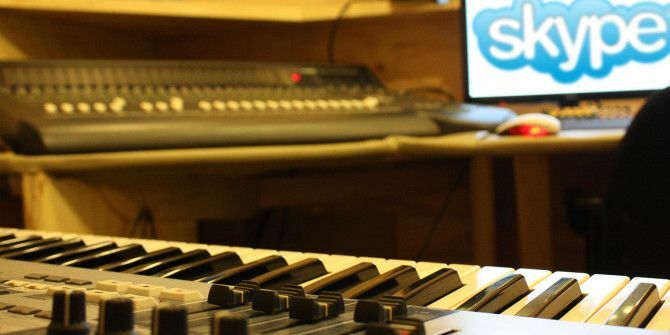 It’s also important to note that Microsoft is aiming this new version of Skype for use in a studio environment where mixers and other hardware would be available. It doesn’t say it can’t be used without said hardware, but it does imply it. Microsoft did not announce pricing information or a release date for the Skype TX. Seeing as they are aiming it at professional broadcasters, one would assume it will not be cheap. Explore more about: Chat Client, Podcasts, Skype, Video Chat / Call, VoIP.